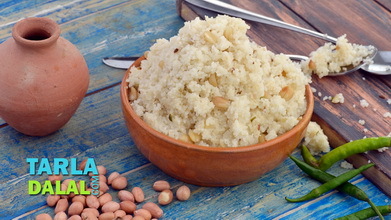 Ever thought of making a khichdi with barley? 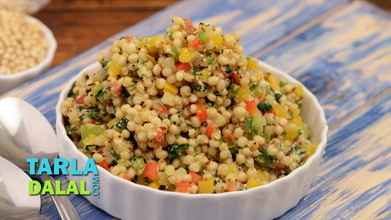 Try it once, and you will want to keep repeating this masterpiece in your kitchen. 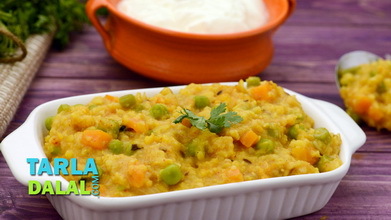 Made of barley and a horde of veggies, this tasty dish is colourful and attractive. 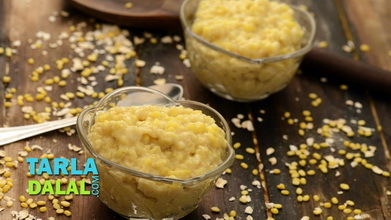 An exotic combination of veggies gives it a nice juicy crunch, while everyday ingredients like cumin seeds and green chillies give the Barley Khichdi a soothing and lingering flavour. 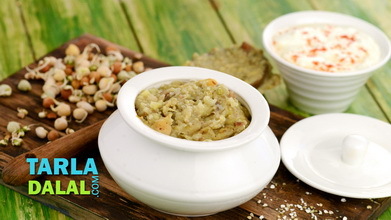 This satiating dish is loaded with antioxidants that help to fight free radicals and increase your immunity, as well as abundant fibre that helps to cleanse your system and lose weight as well. 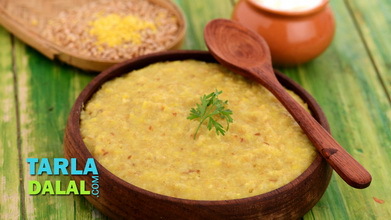 Enjoy the Barley Khichdi hot and fresh. 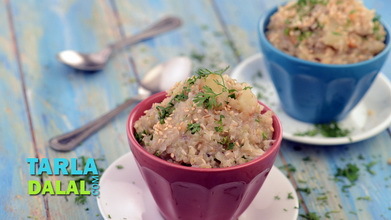 Combine the barley and 1½ cups water in a pressure cooker and pressure cook for 2 whistles. Heat the olive oil in broad non-stick pan and add the cumin seeds. 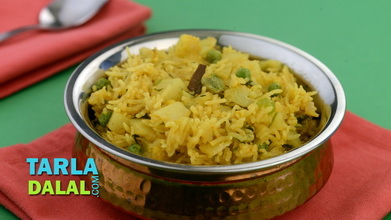 Add the all remaining vegetables and salt, mix well and cook on a medium flame for 2 to 3 minutes, while stirring occasionally. 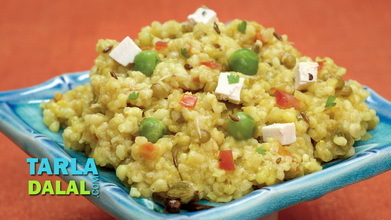 Add the cooked barley, green chillies, little salt and coriander, mix well and cook on a medium flame for 2 to 3 minutes, while stirring occasionally.